I graduated from the University of Chile in Santiago, Chile in 2011 with a BSc in Geology, I began working as a field geologist during the summer seasons as an undergraduate student, participated as a research assistant for the tectonic and structural geology lab of university and TA courses as field geology, structural geology, metallogenesis and Andean geology in my last years. After finishing my undergraduate studies I worked as a regional geologist in charge of a 1:100.000 map in northern Chile. During this time I acquired a variety of experience in geology and alteration mapping, tectonic interpretation and organizing all the logistics for my field seasons. 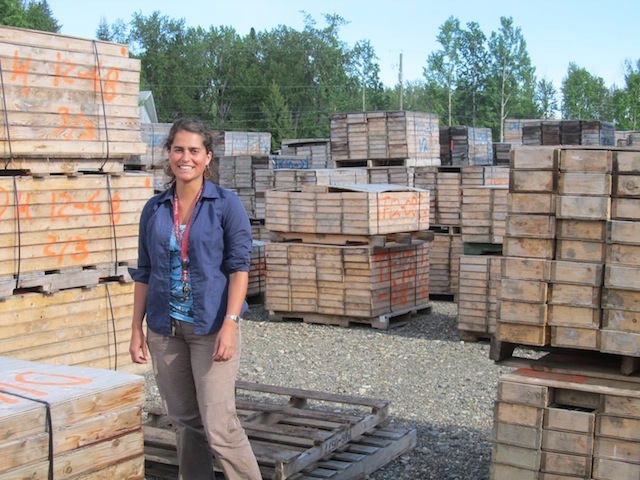 I started my MSc with the Mineral Deposit Research Unit (MDRU) at the University of British Columbia on September 2012, after 3 months of previous field work for my thesis. Since then I have published a report on the Summary of Activities of Geoscience BC 2012, a poster for Round up 2013 and an accepted abstract for a poster at the SEG conference Whistler 2013. I enjoy travelling and discovering new places and new cultures, and because of that spending time studying and living in Vancouver has been an amazing experience, where I have had the opportunity of learning more geology and meeting amazing people. The Woodjam property, located 65 Km northeast from the city of Williams Lake, hosts several discrete porphyry deposits, including the Megabuck (Cu-Au), Deerhorn (Cu-Au), Takom (Cu-Au), Southeast Zone (Cu-Mo) and recently discovered Three Firs (Cu-Au). These deposits display various styles and assemblages of alteration and mineralization. The Southeast Zone Cu-Mo deposit displays alteration and mineralization comparable to calc-alkalic porphyry deposits, whereas the nearby Deerhorn Cu-Au deposit is mainly associated with narrow monzonite intrusive bodies and hosts mineralization similar to alkalic porphyry deposits. These differences have resulted in the separation of the Southeast Zone from the Megabuck and Deerhorn deposits as a different mineralization event. However, there are attributes of mineralization and alteration that could indicate that at least some deposits within the Woodjam property may be related. Recent exploration at the Deerhorn Cu-Au deposit has shown alteration assemblages typical of alkalic and calc-alkalic systems. The Southeast Zone displays some features not typical of calc-alkalic deposits and is located less that 4 km away from the Deerhorn deposit. These observations suggest that temporal and paragenetic relationships between the two deposits may exist providing a unique opportunity to study the relationship between calc-alkalic and alkalic porphyry deposits in British Columbia. Results of this investigation will have important implications in understanding the formation of porphyry clusters and planning the exploration of new targets in known mineralized districts in BC and similar regions worldwide. This project is sponsored by Geoscience BC and Gold Fields Exploration Canada, and is supervised by PhD Craig Hart and Farhad Bouzari from MDRU.